Jeep produced its PowerTech engine series in the mid 2000s. The PowerTech was the upgrade to the old AMC base engine design. The V6 engine series was updated to include different technologies. The inline 6-cylinder engine used in the Cherokee and earlier models was based on a different development cycle. The first vehicle that used this engine was the Jeep Liberty. You’ll find that our Jeep 3.7L EKG engines are the quality that you demand. Our inventory levels are always updated and we improve our delivery times. Let us be your source for used engines here at https://www.usedenginesforsale.net. 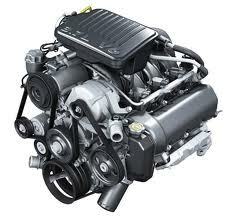 Jeep engines are developed by Chrysler although these engines are used in other vehicles. A range of Dodge vehicles use the PowerTech technology. The Ram 1500, Nitro, Durango and similar models use the 3.7L as well as a high output version. Dodge trucks are known worldwide for quality as well as the pure engine power. Our team finds EKG Jeep engines for sale and we bring these in our inventory for customers. The difference between our company and an auction website is quality. Nothing ever sold here is without a warranty or without a proper inspection for OEM functionality. A Jeep engine that comes from our inventory is one that you can trust. We put emphasis on the PowerTech versions although we have more than one type in stock. We know the power of what Jeep engines can do. This is the same power that our mechanics ensure that you receive. Our expert employees overview what is for sale here. Nothing is out of place. We put our pricing to the lowest levels possible. Many average vehicle owners and companies that install engines benefit from this pricing. Along with the low price comes a great reduction in shipment costs. We’re generally able to ship out used Jeep engines free of charge to you. When it comes to a used engine warranty, you’re not likely to find a company that does better than we do. Our engine warranties are complete. The age of the Jeep engine and the mileage on the block are some of the criteria we use. We put a generous time frame onto each Jeep engine warranty. Customers here never have to worry about startup issues or other issues that some engine sellers online have. Our company policy is to satisfy all customers. Since our Jeep inventory is so large, we’re able to ship our engines on the same day customers make a purchase. This severely reduces the waiting time and helps us meet all customer deadlines. Quotes are swiftly given from our website or by phone here. At the top of all of these website pages is our quote form. Complete the form and you’ll get your instant price quote. You can call toll free and get phone quotes if you prefer that method. Both ways get you a great used Jeep engine price without the quality issues found on other websites.